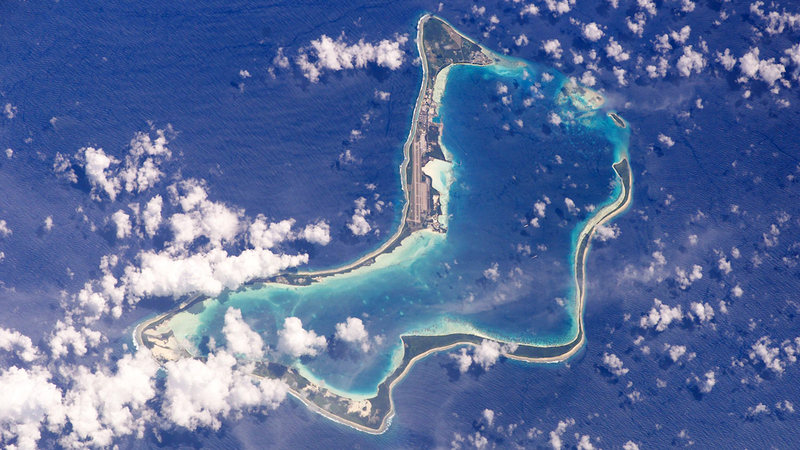 NASA astronaut image of Diego Garcia Atoll, Chagos Archipelago, April 6, 2003. Public domain in the U.S. because it was created by the Image Science & Analysis Laboratory, of the NASA Johnson Space Center and not copyrighted. | Wikipedia. 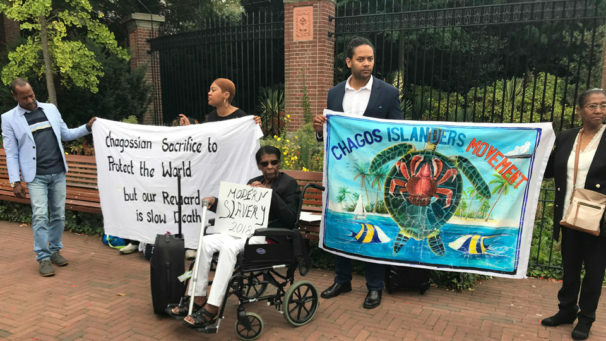 The recent decision by the Hague-based International Court of Justice that the Chagos Islands—with its huge U.S. military base at Diego Garcia—are being illegally occupied by the United Kingdom (UK) has the potential to upend the strategic plans of a dozen regional capitals, ranging from Beijing to Riyadh. For a tiny speck of land measuring only 38 miles in length, Diego Garcia casts a long shadow. Sometimes called Washington’s “unsinkable aircraft carrier,” planes and warships based on the island played an essential role in the first and second Gulf wars, the invasion of Afghanistan and the war in Libya. Its strategic location between Africa and Indonesia and 1,000 miles south of India, gives the U.S. access to the Middle East, Central and South Asia and the vast Indian Ocean. No oil tanker, no warship, no aircraft can move without its knowledge. Most Americans have never heard of Diego Garcia for a good reason: no journalist has been allowed there for more than 30 years and the Pentagon keeps the base wrapped in a cocoon of national security. Indeed, the UK leased the base to the Americans in 1966 without informing either the British Parliament or the U.S. Congress. While the ruling is only “advisory,” it comes at a time when the U.S. and its allies are confronting or sanctioning countries for supposedly illegal occupations—Russia in the Crimea and China in the South China Sea. The suit was brought by Mauritius and some of the 1500 Chagos islanders, who were forcibly removed from the archipelago in 1973. The Americans, calling it “sanitizing” the islands, moved the Chogossians more than 1,000 miles to Mauritius and the Seychelles, where they have languished in poverty ever since. Diego Garcia is the lynchpin for U.S. strategy in the region. With its enormous runways, it can handle B-52, B-1 and B-2 bombers and huge C-5M, C-17 and C-130 military cargo planes. The lagoon has been transformed into a naval harbor that can handle an aircraft carrier. The U.S. has built a city—replete with fast food outlets, bars, golf courses and bowling alleys—that hosts some 3,000 to 5,000 military personal and civilian contractors. The Indian Ocean has become a major theater of competition between India, the U.S., and Japan on one side, and the growing presence of China on the other. Tensions have flared between India and China over the Maldives and Sri Lanka, specifically China’s efforts to use ports on those island nations. India recently joined with Japan and the U.S. in a war game—Malabar 18—that modeled shutting down the strategic Malacca Straits between Sumatra and Malaysia, through which some 80 percent of China’s energy supplies pass each year. A portion of the exercise involved anti-submarine warfare aimed at detecting Chinese submarines moving from the South China Sea into the Indian Ocean. To Beijing, those submarines are essential for protecting the ring of Chinese-friendly ports that run from southern China to Port Sudan on the east coast of Africa. Much of China’s oil and gas supplies are vulnerable, because they transit the narrow Mandeb Strait that guards the entrance to the Red Sea and the Strait of Hormuz that oversees access to the oil-rich Persian Gulf. The U.S. 5th Fleet controls both straits. Tensions in the region have increased since the Trump administration shifted the focus of U.S. national security from terrorism to “major power competition”—that is, China and Russia. The U.S. accuses China of muscling its way into the Indian Ocean by taking over ports, like Hambantota in Sri Lanka and Gwadar in Pakistan that are capable of hosting Chinese warships. The term for these Chinese friendly ports—“string of pearls”—was coined by Pentagon contractor Booz Allen Hamilton and, as such, should be taken with a grain of salt. China is indeed trying to secure its energy supplies and also sees the ports as part of its worldwide Road and Belt Initiative trade strategy. But assuming the “pearls” have a military role, akin to 19th century colonial coaling stations, is a stretch. Most the ports would be indefensible if a war broke out. 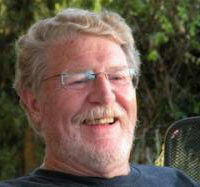 Diego Garcia is central to the U.S.’s war in Somalia, its air attacks in Iraq and Syria, and its control of the Persian Gulf, and would be essential in any conflict with Iran. If the current hostility by Saudi Arabia, Israel and the U.S. toward Iran actually translates into war, the island will quite literally be an unsinkable aircraft carrier. Given the strategic centrality of Diego Garcia, it is hard to imagine the U.S. giving it up, or, rather, the British withdrawing their agreement with Washington and de-colonizing the Chagos Islands. In 2016, London extended the Americans’ lease for 20 years. Diego Garcia is immensely important for U.S. military and intelligence operations in the region, but it is just one of some 800 American military bases on every continent except Antarctica. Those bases form a worldwide network that allows the U.S. military to deploy advisors and Special Forces in some 177 countries across the globe. Those forces create tensions that can turn dangerous at a moment’s notice. For instance there are currently U.S. military personal in virtually every country surrounding Russia: Norway, Poland, Hungary, Kosovo, Romania, Turkey, Latvia, Lithuania, Estonia, Georgia, Ukraine and Bulgaria. Added to that is the Mediterranean’s 6th Fleet, which regularly sends warships into the Black Sea. Much the same can be said for China. U.S. military forces are deployed in South Korea, Japan and Australia, plus numerous islands in the Pacific. The American 7th fleet, based in Hawaii and Yokohama, is the Navy’s largest. In late March, U.S. Navy and Coast Guard ships transited the Taiwan Straits, which, while international waters, the Chinese consider an unnecessary provocation. British ships have also sailed close to Chinese-occupied reefs and islands in the South China Sea.